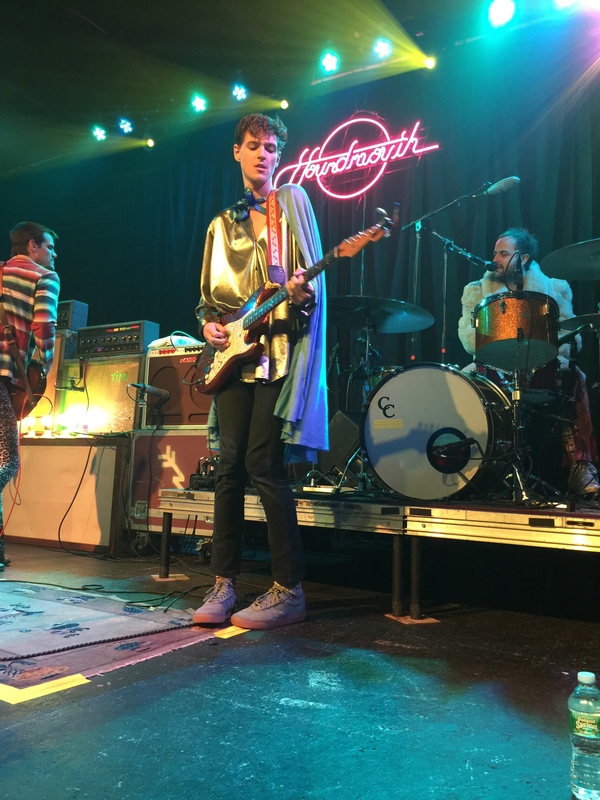 Indiana’s Houndmouth played the Newport Folk Festival in 2013 (here’s their full set) and came to Port City Music Hall with Rayland Baxter in March of 2014. They were on the fringes of my radar then, and I missed both shows. I’d heard good buzz about their live show, though, and was excited when I won tickets from 98.9 WCLZ for this one. It was the encouragement I needed to get myself to Portland on a Monday night. 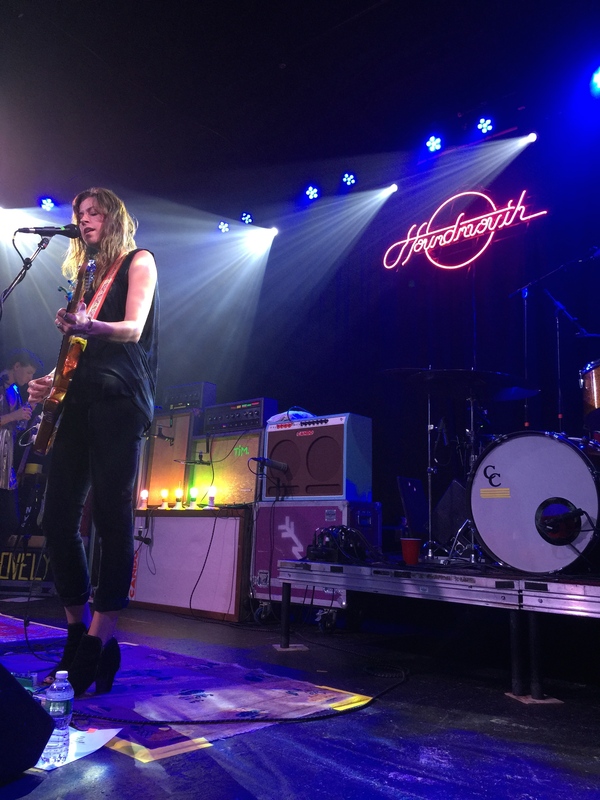 Twin Limb—a duo from Louisville, KY—was well worth showing up early for. 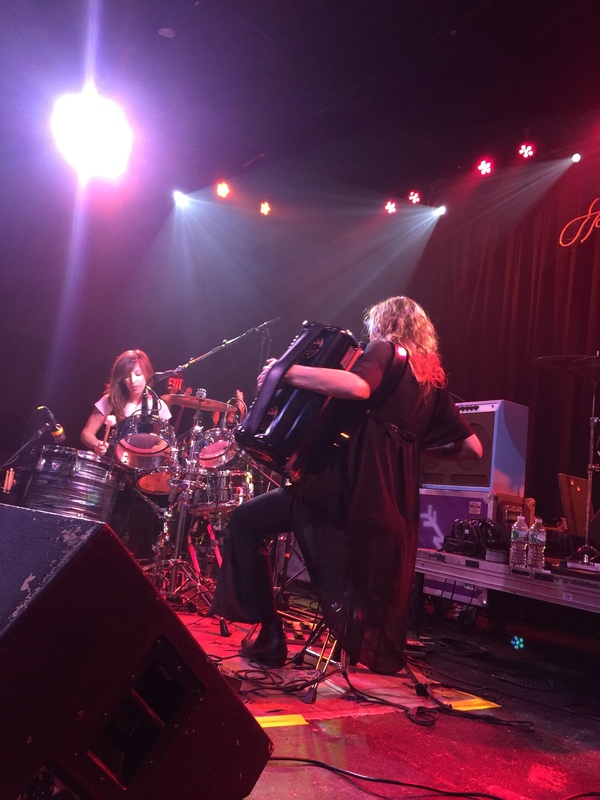 Lacey Guthrie on accordion (yep, accordion) and Maryliz Bender on drums sang lovely harmonies and sounded fantastic together. 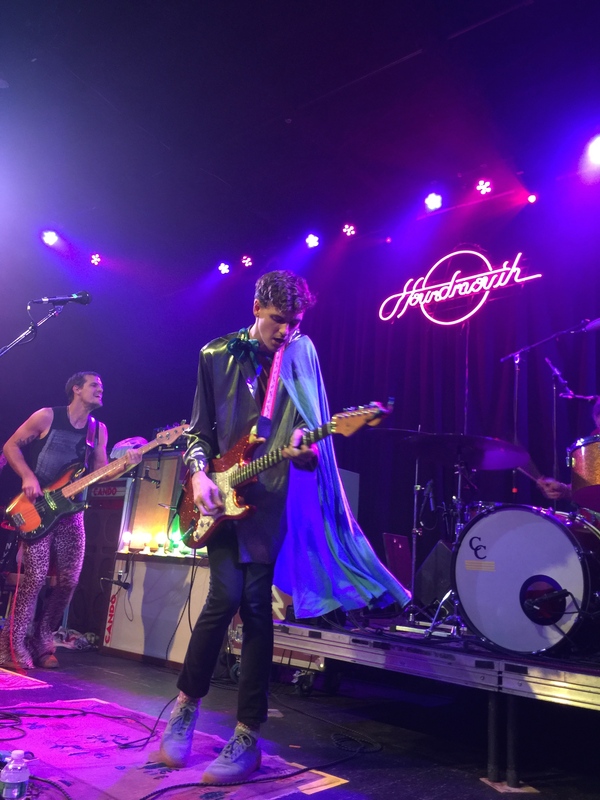 Their sound was ethereal and full and not completely unlike Florence Welch of Florence and the Machine. Check out their song “Red Sun” to get a sense of their style. 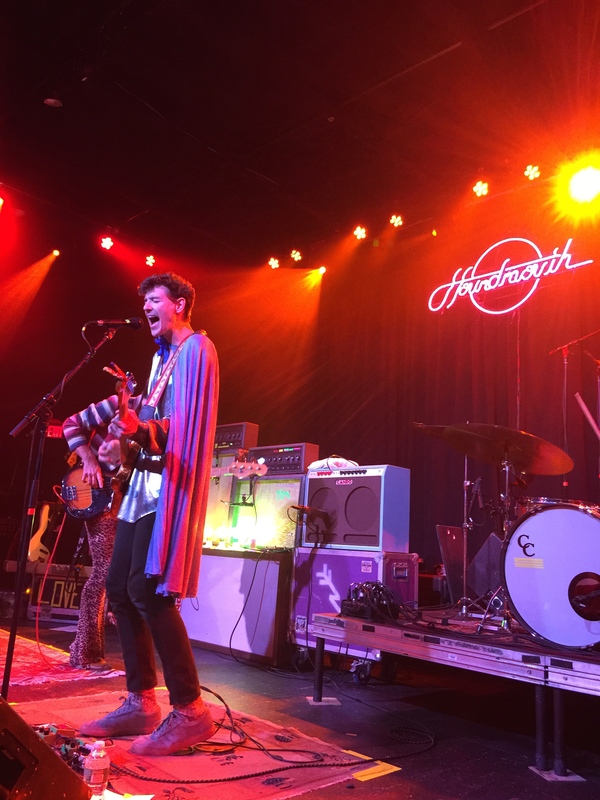 Houndmouth brought it! They were quite a departure from their friends Twin Limb, and were so different style-wise, that their raucous rock music caught me a tiny bit off guard in the best possible way. 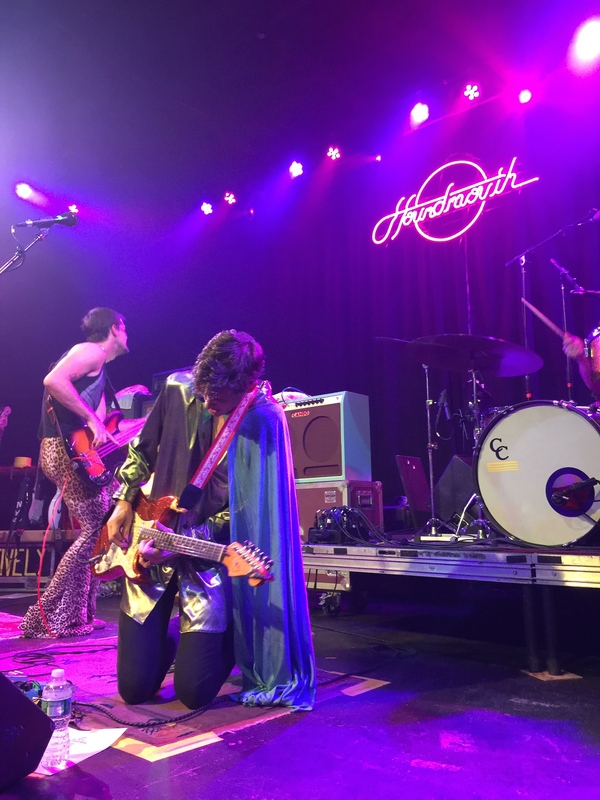 They came out in costume, too—a shiny silver (potentially) pleather shirt with a bright blue cape, cheetah print bellbottom stretch pants, even a faux fur coat. They didn’t take themselves too seriously (obviously) and clearly came to entertain. I had a total blast! 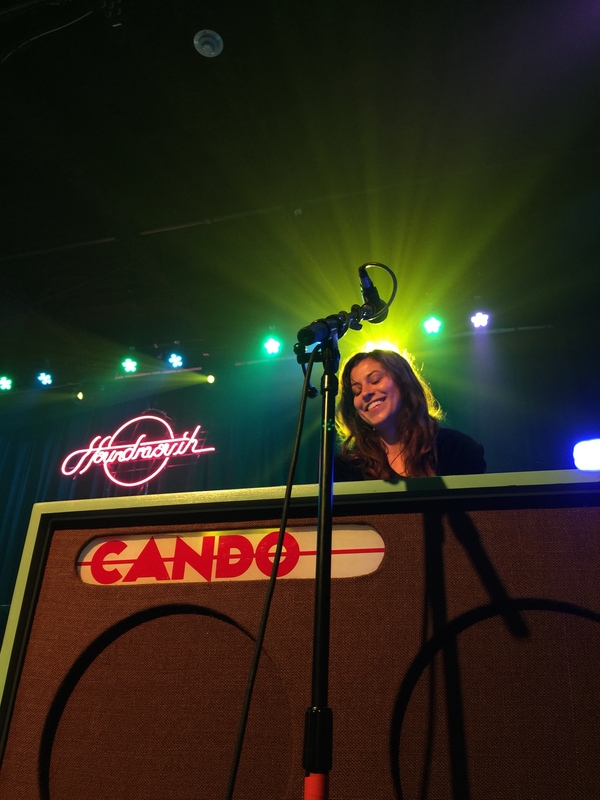 I was glad to hear “Sedona” and “Say It,” both from their 2015 release Little Neon Limelight. 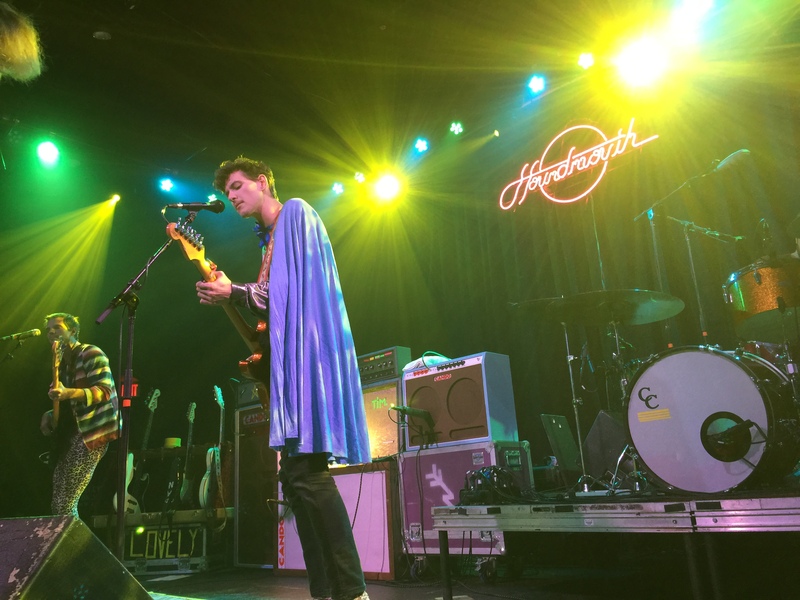 We had such fun early on that we texted our friend Bartlett, who looks an awful lot like the guitarist with the cheetah pants, and got him over to the party halfway through the set. A super fun Monday night! 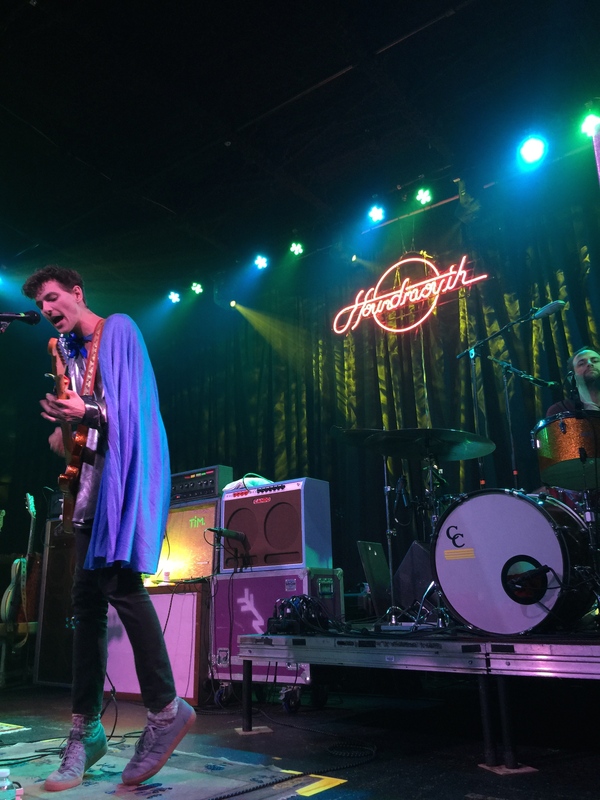 Definitely catch Houndmouth if they’re in a city near you! iPhone pictures below!